We had a Great time. Our guide was Christina. She was very helpful, accommodating and provided insight to the Tour locations. Highly recommended. China's history is one of the oldest and most heavily preserved in the world, carefully studied by scholars and travelers that have come to its lands. Unravel this vibrant and incredible culture with a day trip to three of Beijing's most famous sightseeing locations: The Forbidden City, the Summer Palace, and the Temple of Heave. The day starts out with a trip to the Forbidden City, the most famous palace complex in China. It stands as the edifice of royalty from the Ming Dynasty to the end of the Qing Dynasty. Visit the Palace Museum and view priceless, carefully preserved artifacts from eras long past. 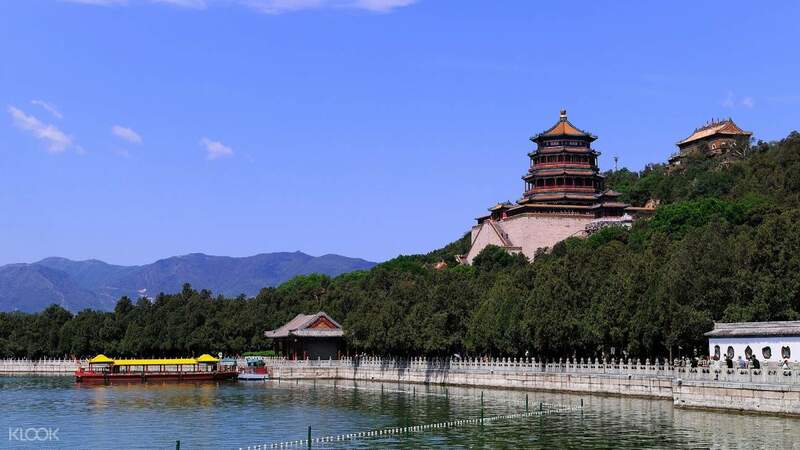 After lunch, you head to the Summer Palace, one of the grandest palaces constructed in Chinese history. This complex is full of lakes and gardens, and was built during the Qing Dynasty. Explore the palace's lovely, romantic grounds and marvel at the advancement of architecture during the time period that allowed it to be built. The last stop of the tour is a visit to the Temple of Heaven. This final temple complex was built for religious purposes, visited by emperors in the aforementioned dynasties to offer prayers for good harvests and good fortune. Overall very satisfied. pick up was on time. tour guide was great and explained history of all places we visited. Food was average, tour took us to Pearl shop which was not part of itinerary and wasted like 30-40 min. Overall very satisfied. pick up was on time. tour guide was great and explained history of all places we visited. Food was average, tour took us to Pearl shop which was not part of itinerary and wasted like 30-40 min. We tried to contact China Klook until midnight. Make sure you have Wechat then easy for tour guide to contact you, if not they will contact with your hotel, dont worry they will pick up. (KLook should note in the info, as whatssap can not log in in China). Our tour guide speak English really really good, friendly, kind and handsome but forgot to ask his name, :(. He explained very clear everything we want to know. Before lunch we visitted a chinese foot massage and medicine for 30 min. After lunch we also need to visit a pearl shop for 40 min. We suggest that should send us to some place that we can buy something special. We tried to contact China Klook until midnight. Make sure you have Wechat then easy for tour guide to contact you, if not they will contact with your hotel, dont worry they will pick up. (KLook should note in the info, as whatssap can not log in in China). Our tour guide speak English really really good, friendly, kind and handsome but forgot to ask his name, :(. He explained very clear everything we want to know. Before lunch we visitted a chinese foot massage and medicine for 30 min. After lunch we also need to visit a pearl shop for 40 min. We suggest that should send us to some place that we can buy something special. Our tour guide speak English, really good, friendly and kind. She explained everything clearly. Before lunch we visited a chinese foot massage and medicine for 30 min. Forbidden City, Summer Palace and Temple of Heaven are really beautiful. 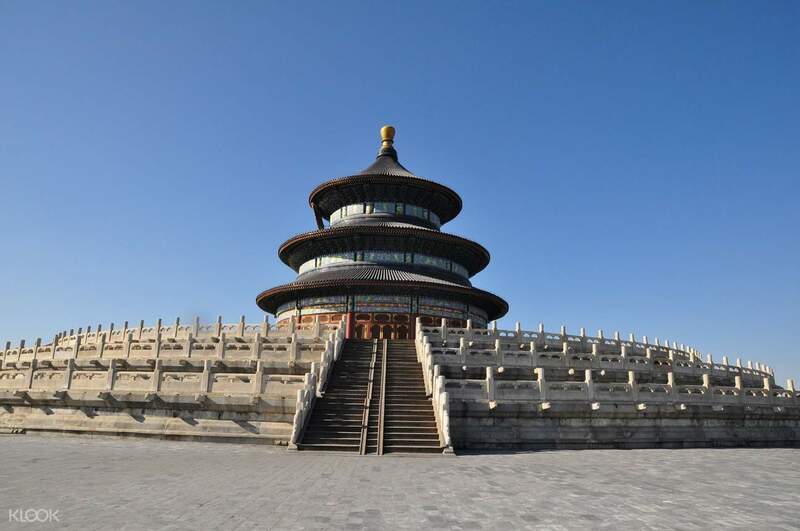 You need to pay a small fee to enter the Temple of Heaven. Our tour guide speak English, really good, friendly and kind. She explained everything clearly. Before lunch we visited a chinese foot massage and medicine for 30 min. Forbidden City, Summer Palace and Temple of Heaven are really beautiful. You need to pay a small fee to enter the Temple of Heaven. We had an amazing tour guide Cindy who made the trip memorable. She has a good command of English and helped to take photos for us. We had an amazing tour guide Cindy who made the trip memorable. She has a good command of English and helped to take photos for us. The meeting point was very easy to find. The trip is very well planned and there is a lot of sufficient time to tour around the forbidden palace. Our guide 李海楠 did a very great job in explaining the history of the palace from Ching Dynasty to Ming Dynasty. She made sure that participants are well taken care of and make sure that we all stay together throughout the entire walk. Besides, she can sing very well! Overall this is recommended!! Thank you for this enjoyable experience. Will love to come back again. The meeting point was very easy to find. 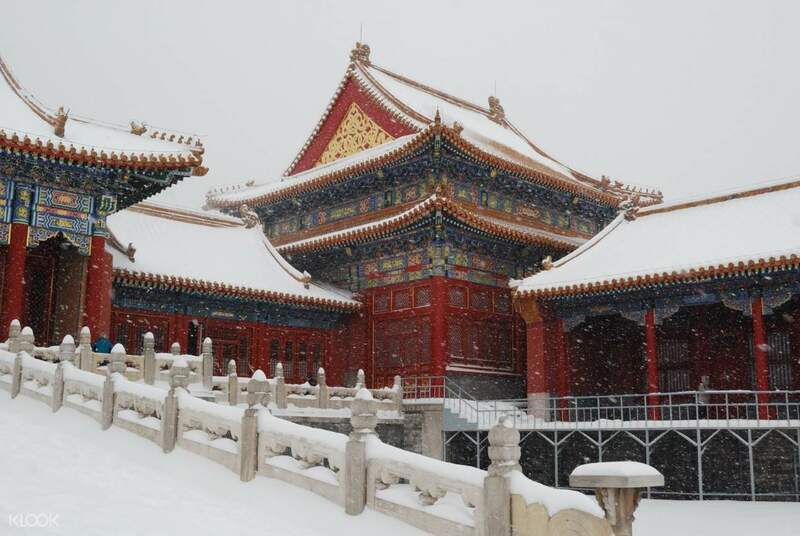 The trip is very well planned and there is a lot of sufficient time to tour around the forbidden palace. Our guide 李海楠 did a very great job in explaining the history of the palace from Ching Dynasty to Ming Dynasty. She made sure that participants are well taken care of and make sure that we all stay together throughout the entire walk. Besides, she can sing very well! Overall this is recommended!! Thank you for this enjoyable experience. Will love to come back again. it's a very good experience to know Beijing. the pickup is ontime. But we can't get in to Temple of Heaven. it's very pity that we only see it from outside. it's a very good experience to know Beijing. the pickup is ontime. But we can't get in to Temple of Heaven. it's very pity that we only see it from outside.